“Imagine eating your own arm. It will nourish you for a short time, but then you die”. As far as gory metaphors go, this one is just powerful enough to make a point, as an explanation of Marcus Strickland‘s theory of evolution. “Overtime, everything develops, because it is surrounded by something different, which it then absorbs”. And by “everything”, he means, of course, jazz. For Strickland is one of the modern champions in the American Jazz Community, someone who has created a wonderful blend of different styles, forms and traditions, merging jazz with r’n’b and other urban sounds. “One thing really liberated me in my thinking”, he says, stating Nicholas Payton and his theory of Black American Music as an influence. “The concept of jazz being dead was a shocking thing to say at the time”, says the saxophonist. “But for me it was all about letting go of the preconceptions and sticking to myself as a musician”. Strickland states others among his influences – most notably Robert Glasper and his Black Radio ventures, or masters like Eddie Harris and Roy Haynes, with whom he had played for years. “He is very open to everything”, he says of the living legend, who at the age of 91, keeps going strong. “He is very young at heart and he keeps his curiosity growing. This is what keeps him young, he says. I was very inspired by playing with him”. It was actually Haynes who influenced Strickland’s distinctive style. “He taught me how to connect lyrics and melodies, by making me look to the singers for inspiration. He’d say: “phrase it like Sarah Vaughan sings it”. Through his journey, Marcus Strickland not only found his own voice as an artist, but came to another realisation: “The older I get the less music is about music”, he says. “More and more, it is about communicating a message without words. To be an artist is to use the all the available facilities, your technique, or your lack of technique, to express yourself and communicate. I came to better understand Coltrane; he often sounds like a preacher. I aspire to have this effect on people, than just show off my chops. There is such thing as a musician and such thing as an artist”. And what kind of message does he want to send out to people? “It all comes down to love and humanity”, he says. “The biggest thing in the world is actually the very basic, the first thing we experience. You start out with love inside you and then it’s up to you”. And then there’s the issue of the Black American Experience. “People who think that racism doesn’t exist anymore should just look into the prison system and how the laws oppress those who are poor, while at the same time the rich manage to even dodge taxation”, he says. “In the past, we had outwardly expressed racism in the beginning, while now it’s codified. But the Black American culture means to live constantly within a code that the oppressor doesn’t understand. It forced us to use abilities not common among other people”. This kind of struggle translated into Barack Obama becoming President of the US. “In a way, Obama had to be superhuman, to exceed mediocrity to the point that there was no other choice but him”, he points out, stating that no other President would be treated with this kind of hatred by his opponents, asked to present his US passport, and have his policies fought so hard in congress. And now, as the possibility of a Trump presidency becomes eminent, it is clear for him that Obama was “just the beginning”: “Guys like Trump are engaged in an ongoing war on humanity. Some people don’t know how to handle the fact that somebody is different than them. This is a dark side of humanity and this is what I’m trying to express in my music. It’s an invitation to open your mind to a different thinking and dance your way towards the light that becomes acceptance”. Now, that’s an invitation that is hard to ignore. 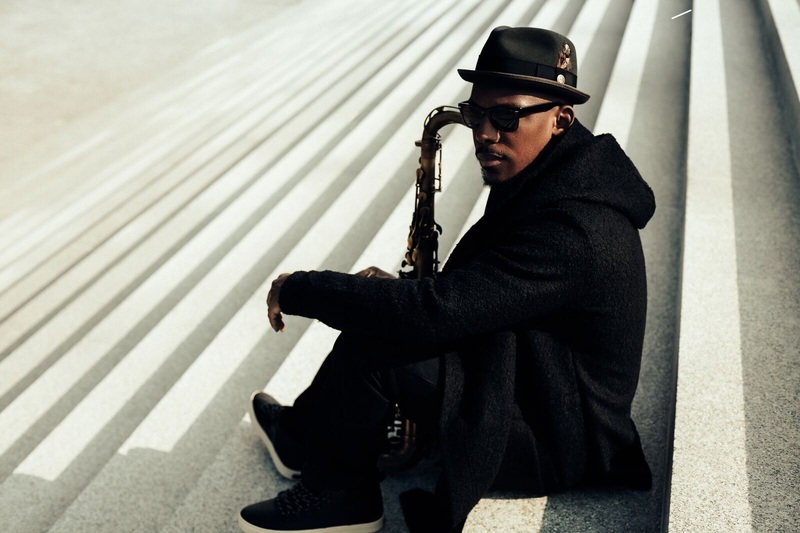 *Marcus Strickland’s Twi-Life will present their latest album, “Nihil Novi” at Bennetts Lane Jazz Club on Saturday 11 and Sunday 12 June, as part of the Melbourne International Jazz Festival.